We create hand-made hampers and gift baskets delivered with a wow factor! We believe the recipients of your gift should know how special it is before they've even opened it. With hampers contain many award-winning food and drink items, we aim to achieve the highest standards of packaging and gift-wrapping too. Every hamper leaving our premises is carefully assembled, with our expert team painstakingly arranging the items and finishing each basket off with a luxurious coloured ribbon* coordinated to match the gift itself. * Please note we apply gift wrapping to all our open baskets and gift towers (but not our lidded hampers or magnetic boxes which are themselves presented beautifully). Hampers are securely packaged and padded in individual boxes, suitable for forward shipping if required. 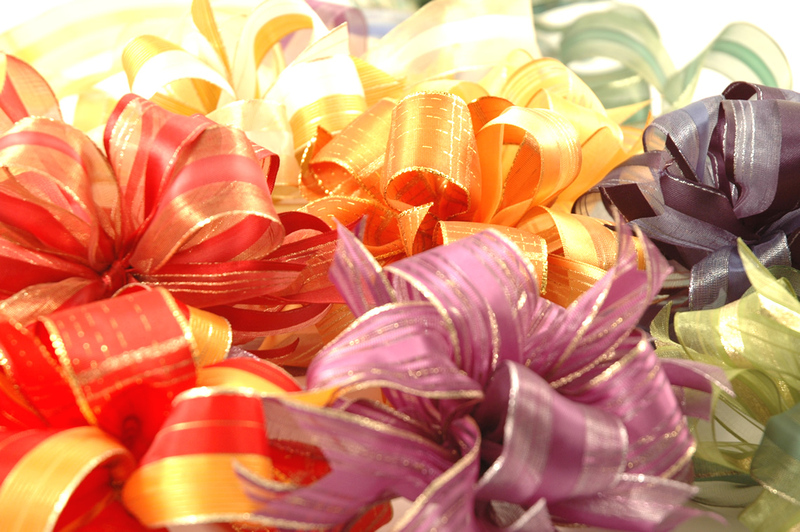 Everything is checked, packaged and elegantly wrapped by hand, with strict quality control. We use coloured paper to protect the contents of each item and provide extra padding. We use only reputable, tracked services for delivery, so you can be confident items will arrive in good condition. 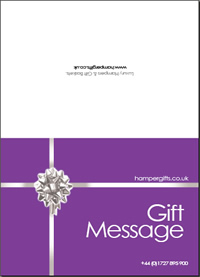 If you're sending a gift straight the recipient, we take care to include your personal message on an attractive gift card. This is laser printed and tucked into a special pouch on the outside of your parcel, ensuring the recipient knows who's sent it before they open it. 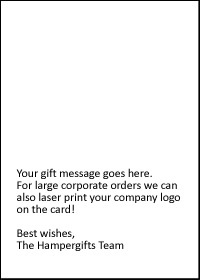 For larger corporate orders we can also laser print your company logo onto the gift card. Please get in touch for more info.